Barcelona youngster Munir El Haddadi will join Sevilla in the january transfer window, the clubs have confirmed. The 23-year-old Munir was in the last six months of his contract with the La Liga champions and was free to sign a pre-contract with Sevilla that would have allowed him to join the club in the summer. But Ernesto Valverde told the player that he wouldn't be featuring in his plans and both clubs reached an agreement to bring the operation forward a few months, with Munir joining this month for a fee of around one million euros. 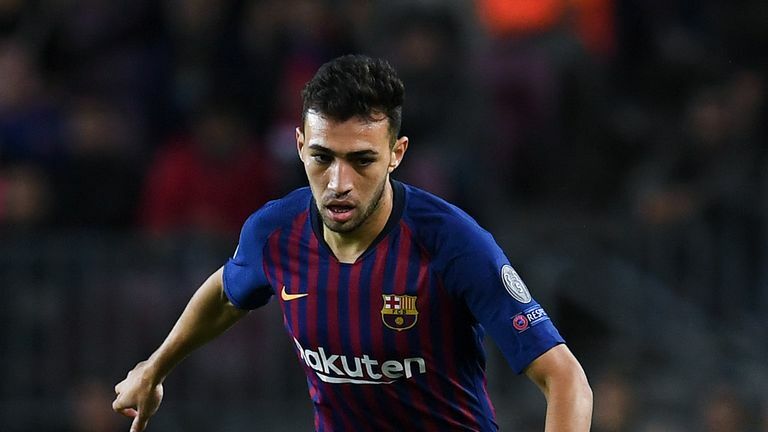 Entering the a year ago of his contract, there was no loan for Munir to begin the 2018-19 season, and he played just seven times for Barcelona, scoring once in the league. El Haddadi also turned out for the Spanish national team once, apart from making 16 appearances (and scoring ten goals) for the Spanish U 21 side as well as scoring 2 in three appearances for the U19 side. Meanwhile, the move makes it increasingly unlikely Sevilla will strike a deal for struggling Chelsea striker Alvaro Morata.